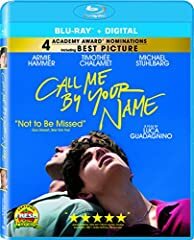 My review of “Call Me by Your Name”, romantic drama based on the novel by André Aciman, directed by Luca Guadagnino, written by James Ivory, starring Timothée Chalamet and Armie Hammer. Your review is perfect! I just discovered you because I’ve been watching reviews of this film but I’m gonna follow you videos from now on! You are very good at this! Very very good!!! Awesome review like always dude! Would definitely like to see this film now, and I didn’t know Sufjan Stevens did the music for this film! I highly reccomend his album Illinois, he’s an incredible singer/songwriter! This is an amazing review…. I felt the same way about the film in general, it has lingered and been on my mind everyday for the last week. It is truly a beautiful film and I think that you are exactly right… it is less a movie about homosexuality, but about love, a true love story, and time as with everything – is the enemy. GREAT JOB my friend! I found your channel when I was watching your review on the movie Moonwalkers. 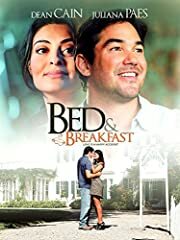 I love that movie as well as this one. Nice taste! What an interesting face you have! I was wondering about your accent until I did some digging and discovered you’re Italian. Apropos considering the setting of this movie… You could be Elio, mixed in with a bit of Isak from Norway’s SKAM… Nerdy, gangly and cute. Keep up the good work! I love this review, man! You’re awesome!! The book was amazing, I have read it 3 times now. I can’t wait to see the movie, but unfortunately I live in a place where the movie will never screen so I have to wait to find it online. Thank you for your review, from what I can tell the movie follows the book quite faithfully. However, the book is more an internal reflection by Elio looking back on a beautiful summer that he had once had years before. While the movie seems to end with that unbearable grief that comes from losing true love, the book holds out hope even when it seems to not be possible. I can’t recommend the book enough, but I also can’t wait to see the movie. Thank you for the terrific review. I completely agree with your review. 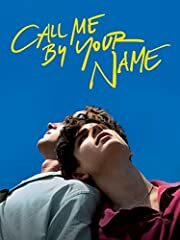 I too was overwhelmed by the film’s beauty, direction, cast, music, cinematography, story and being a fan of the original novel, the script by James Ivory is a master class in screenplay adaptation. It is s masterpiece. Hoping there will be some well deserved Oscars coming their way next year. Bravo! You’re review was awesome, beautiful, insightful and intelligent. Thank you! I cried and still feeling very sad. I think this is a part in everyone’s life as they grow up. Something they never forget. A very descriptive, intelligent review. Well done ! I clicked on your Chanel, because of the movie and have become a fan of yours! If I closed my eyes and just listened to your review, I would have assumed that you were a 60 year old man who had a long , brialant and highly successful career as a critic ..wow!! WHO ARE YOU????? Where did you come from?? If I had never read the book or seen the movie or listened to the the audio book (I have done all 3), your spellbinding review, would have me at a bookstore in the Morning, or had me downloading the audio book and binglisteng all night, then cancelling my Saturday night plans and traded them for tickets to the movie…Back to the book, I read it a few years ago, was blown away and would have never believed it could be made into a movie..I was so so wrong… I can relate to Elio, because I was a young teen in the mid 80s and led 2 lives, but I can also relate to Oliver..there were many, country club, married with kids, closited men around me.? Highly successful, masculine men, well braught up and ivyleague educated, who led 2 lives..I knew first hand, about a few of them and over the years, learned about a number of others..it would have been, impossible, for Oliver, to have continued his romance, with Elio, back in those sad repressive times…..I don’t want to be a spoiler, so I won’t elaborate.? 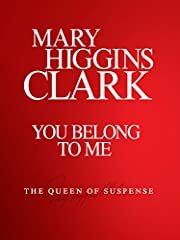 It is important to point out, that the movie story, ends well before the book ends…I’ve heard there might be another script, in the works.i hope it tells the story, from Oliver’s point of view….thanks again, for your hartwarming and insperational review… I’ll be looking forward, to more of you. You have another fan..
my fave movie of the year/ decade! love never dies: it only grows as the trees and rivers flow on on on…. Great review! Seen the movie and read the book and agree with you on all the points you made. Will look for your next review! Cheers! There is nothing romantic about this trainwreck of sin. Poop with a flower in it still stinks. Very insightful review. Very intelligent, unlike the mimbo (I won’t reveal his name) in another channel who didn’t know the facts, details about the film. You knew the details and you nailed the essence of the film, which I haven’t seen yet, but so far I’m getting the feel of it – it’s love story that will imprint itself to our brain and remain with us for a long time. I can relate to a summer love story in Italy (ah, bella Firenze!) albeit it makes me a little sad. Enjoyed your review, but couldn’t make it all the way through. I heard “Visions of Gideon” in the background ( the song in the emotionally gut-punching last scene) and started tearing up.